The final trailer for War for the Planet of the Apes, the eighth film in the Apes franchise, was released today and true to the premise of the movie and the franchise as a whole, it looks set to be a thrilling and enjoyable watch. 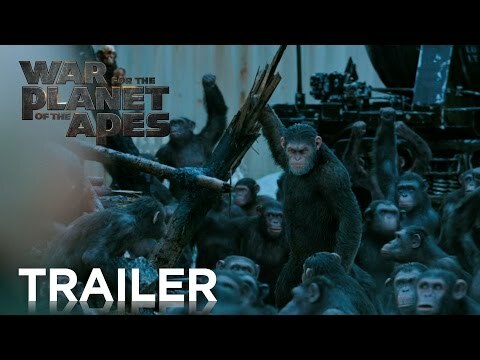 Andy Serkis reprises his role as Caesar, the ape tasked with leading his species of genetic super-monkeys against another band of murderous humans. Woody Harrelson plays an overly confident Colonel, equipped with men, weapons and more fantastically quotable lines to add to his impressive acting history. If the trailer is anything to go by then this will be another summer hit. If the thought of Serkis and Harrelson sharing a screen (albeit with a fair amount of CGI involved) doesn't get you to the local cinema, then the final scene of the trailer involving Caesar tossing a grenade into an oil tank should at least pique your interest a little bit.